It’s beginning to look a lot like Christmas, everywhere you go! Take a look in the five and ten glistening once again, with candy canes and silver lanes aglow. Not my words of course, but those of criminally-overlooked songwriter Meredith Wilson in the seasonal standard ‘It’s Beginning to Look a Lot Like Christmas’ made famous by Perry Como, Bing Crosby and later, Michael Buble. Why? To any of this? Good questions. Well lemme tell you this readers: Barratt’s Tangerine Confectionery are launching Christmas sharing tubs from just £3. That’s right baby, the tubs include old favourites such as sherbet Dip Dabs, Fruit Salads, Whams and Black Jacks. The special Barratt Tub has a recommended retail price of just £4 for 750g and includes everything you need to make you feel pogged come December 25th. Fancy some sherbet Dip Dabs, Refreshers, Fruit Salad, Black Jacks, and mini bags of Milk Bottles, Shrimps and Bananas? Get your laughing gear around THAT! The tub will go on sale in Sainsbury’s and Wilko, among others which are yet to be announced. Barratt claims all the new tubs will be ‘available soon though an exact date isn’t currently known. Can you say ‘excited’? Many consumers will be eager to indulge in the sweets they loved when they were younger, and introduce their favourites to their own children. 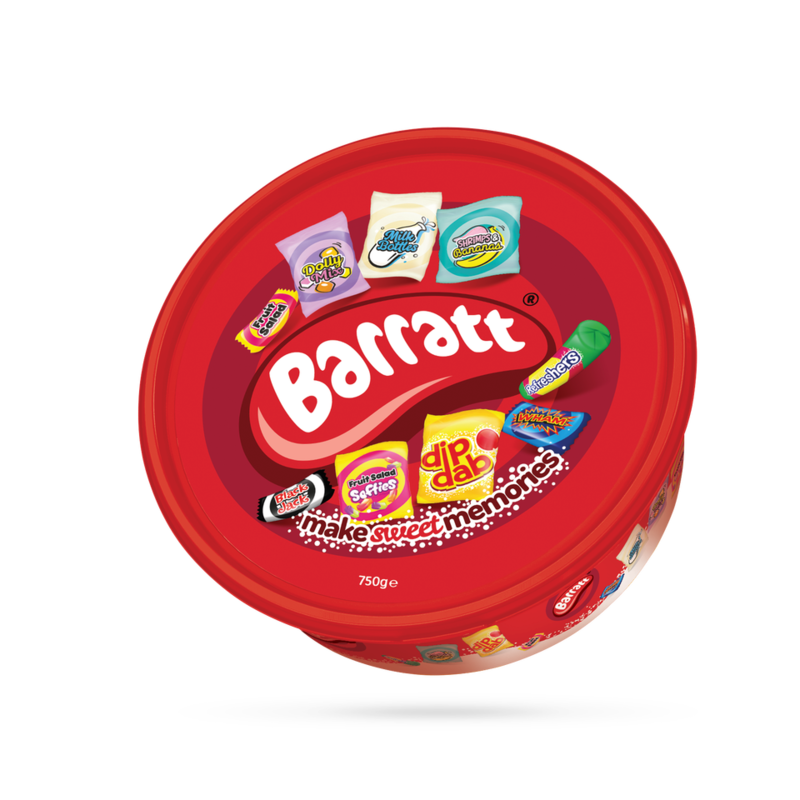 We expect the Barratt tubs to fly off shelves this year, offering a great selection of retro classics, suitable for confectionery lovers of all ages. You can say that again, Russ. I’m f***ing buzzing about this. 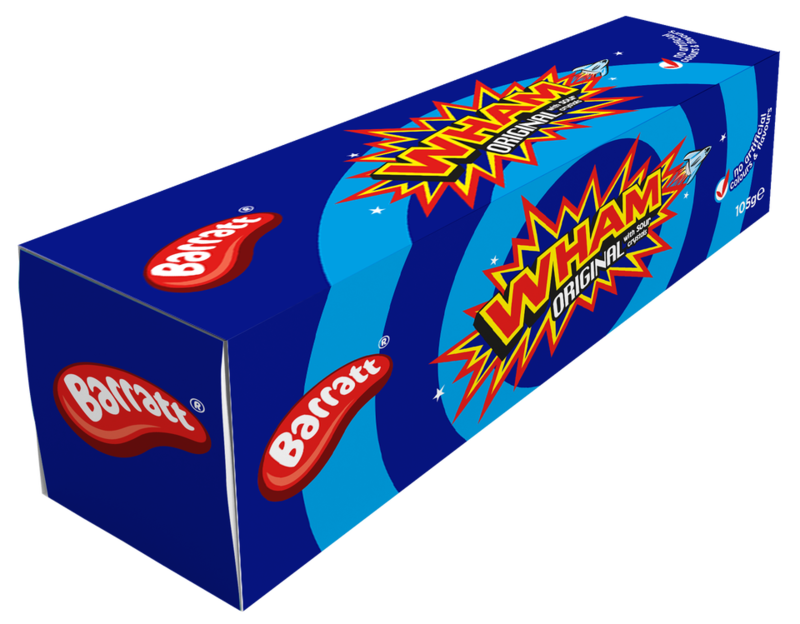 Two of the biggest Barratt brands – Wham and Fruit Salad – are being launched in a new tube format and will set shoppers back by a charming little quid. Both tubes will be on shelves at Home Bargains and Wilko. And the Liquorice Novelties box (RRP £3.49, 270g) is back by popular demand. Each piece of liquorice is handcrafted at Tangerine’s Pontefract factory, and it was the sweet company’s second bestselling sharing product last year.